While 2016 was a banner year for cyberattacks, hold onto your boots, 2017 should be a wild ride as well. We’ll see escalations of current threats and brand new attack vectors. Will the first ever Ransomworm spread through networks like wildfire? Will your IoT device become the de facto target for zombie botnets? Nation-state hacking and the Cyber Cold War have gone mainstream following the recent U.S Presidential election, and the public’s’ interest is at an all-time high. Will we see the first civilian casualty in the Cyber Cold War? 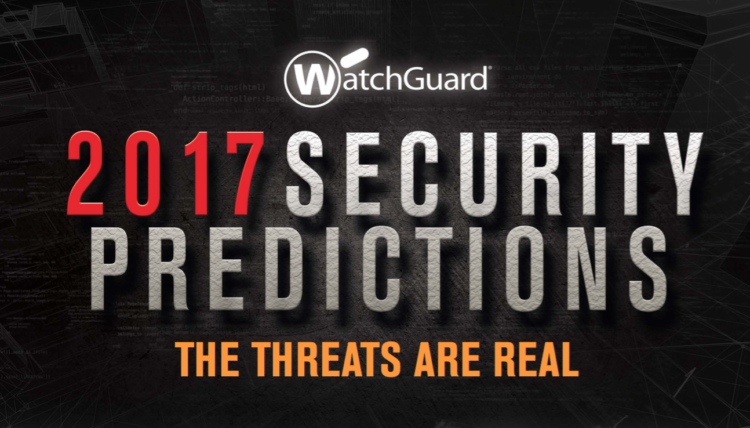 Find out what WatchGuard’s Chief Technology Officer, Corey Nachreiner, thinks are the top 7 threats we face in 2017. Watch the video predictions and check out the infographic.